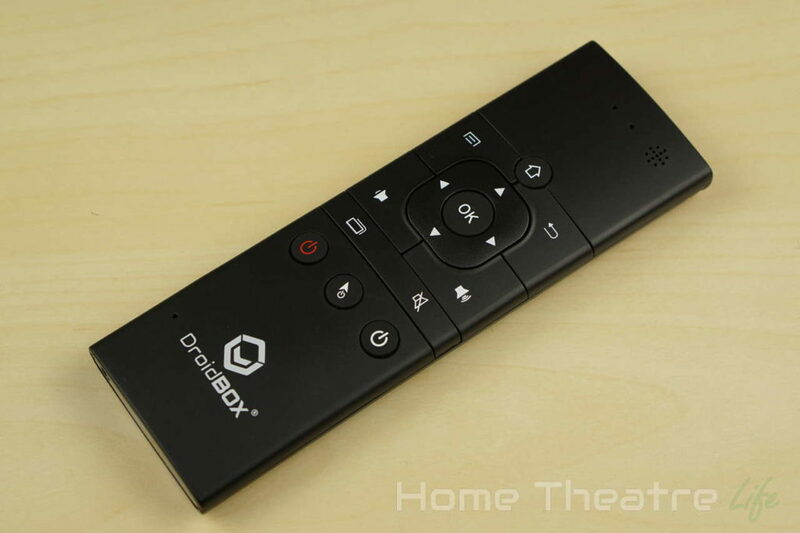 Home Reviews Gadget Reviews DroidBOX VIP Plus Mini Keyboard Review: An Airmouse For The Masses? 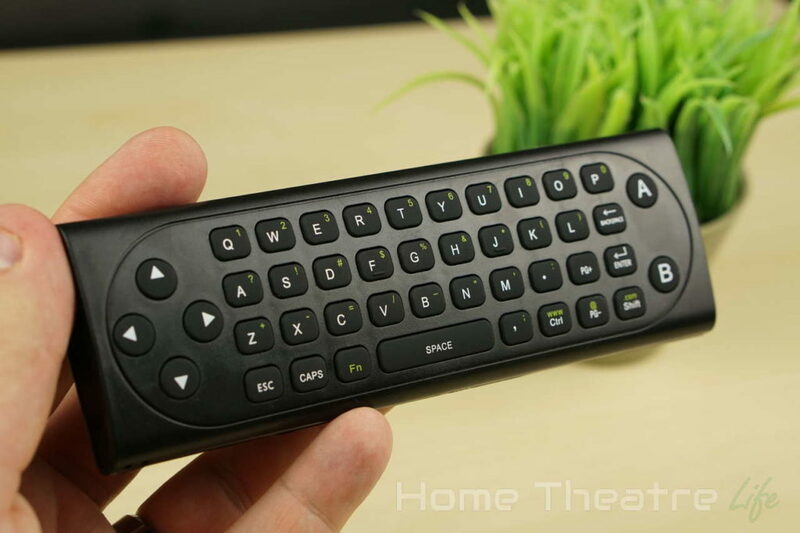 The DroidBOX VIP Plus Mini Keyboard is a 2.4GHz wireless airmouse that also features a full QWERTY keyboard. Is it any good? Read my DroidBOX VIP Plus Mini Keyboard review to find out! 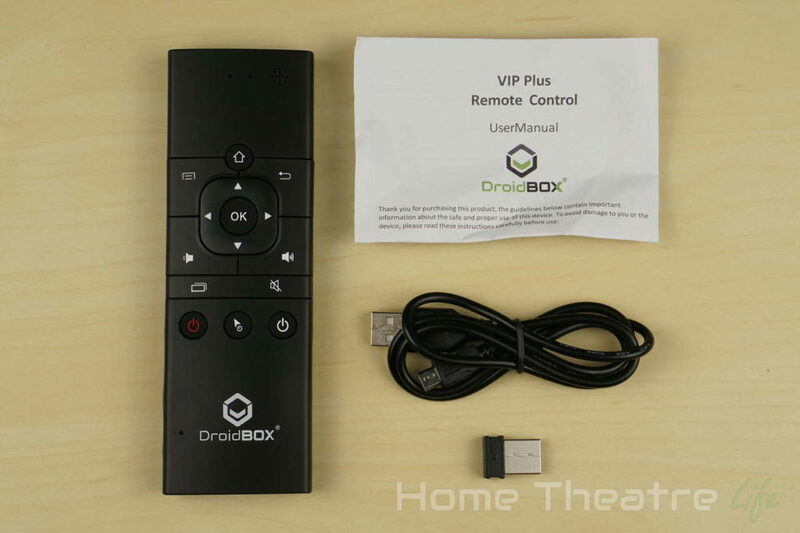 The DroidBOX VIP Plus looks like your typical remote. The front of the unit features buttons for Android functions, volume control, a directional pad, power buttons and a mouse mode toggle. I really would have liked to see a set of multimedia controls here. Although you can navigate your way around, having dedicated play/pause and skip buttons would have been excellent. Flipping the unit over reveals the full QWERTY keyboard. It also is cleverly laid out to have the directional keys on the left side and an A and B button on the right, allowing it to easily double up as a game controller for simple games. There’s also a micro USB port on the side to charge the unit’s in-built battery. All of the keys are rubberised and have a “click” to them. This does make it hard to type lengthy sentences in but given that it’ll only be used for the odd bit of text input, this isn’t an issue at all. Setting it up with the DroidBOX T8-S Plus was as easy as plugging in the USB receiver. Everything was ready to go and I was able to control everything from up to 10m away. The DroidBOX VIP Plus also allows you to power on the DroidBOX T8-S Plus which is a nice bonus. 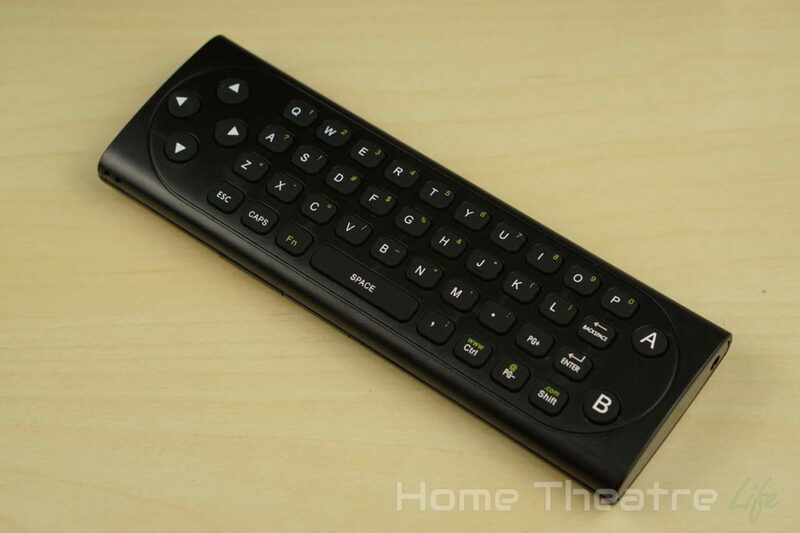 The airmouse function allows you to move the mouse cursor using gestures – much like a Wii remote. 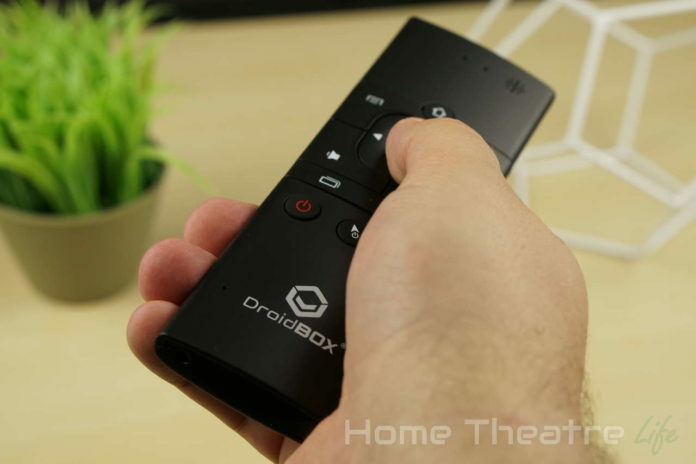 The feature worked well and really is the easiest way to navigate Android – so much so that I recommend them as a standard part of any Android TV box or HTPC setup. There’s no jittering or drift and the cursor moved quickly and predictably. I did find that the mouse cursor was turned on by default which was incredibly frustrating as you’d be expecting to use it as a remote only to find the mouse cursor moving around. I would have rathered that the mouse mode only be activated when I toggle it. That said, I did like that the airmouse feature would automatically be disabled when using the keyboard. The included battery seemed to last for ages on a single charge. Range was good, easily making the 10m limit and the 2.4GHz wireless signal means you don’t need to have line of sight like IR-based solutions. 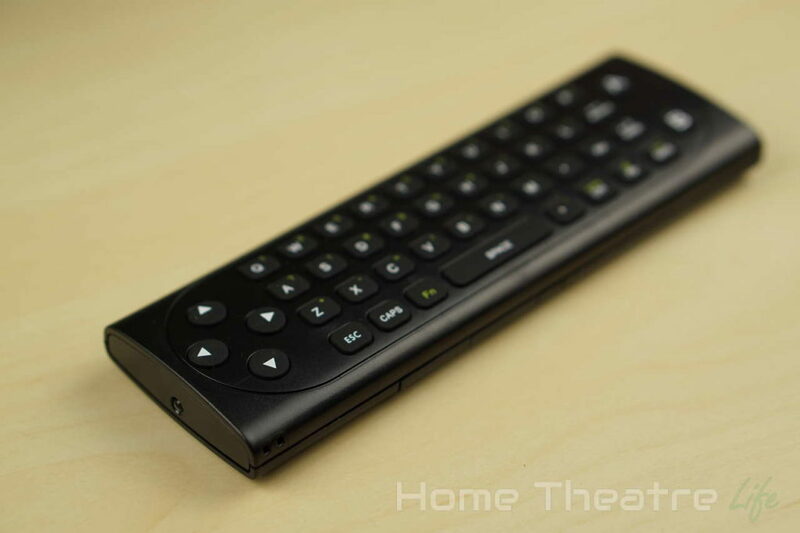 The DroidBOX VIP Plus mini keyboard is a great little unit, particularly if you own one of DroidBOX’s Android devices. Though the default mouse on feature is annoying, the DroidBOX VIP Plus is slim, works well and offers a solid amount of functionality. The DroidBOX Plus Mini Keyboard is available from Amazon UK or from DroidBOX directly. It’s also included in the DroidBOX T8-S Plus Gamers Edition bundle or bundled with the DroidBOX T8-S Plus. A sleek airmouse and keyboard setup with the performance to match.